Being Frugal and Making It Work: Swago: Holiday Shopping Edition Is Back! 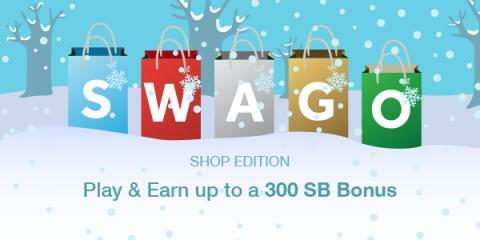 Also, if you sign up for Swagbucks through me this month, you'll get a $10 rebate when you make your first purchase via Swagbucks Shopping! You can activate it in the "Swag Ups" area of "My Account"